We Meet or Beat All Prices! Hi, I'd like to show you this page I found on Nassau Furniture and Mattress's website. $49 Down and Take Home Today! The 125 Series Full 14" Plush Euro Top Mattress and 9" Wood Foundation by Corsicana at Nassau Furniture and Mattress in the Long Island, Hempstead, Queens, Brooklyn, Bronx, Manhattan NY area. Product availability may vary. Contact us for the most current availability on this product. 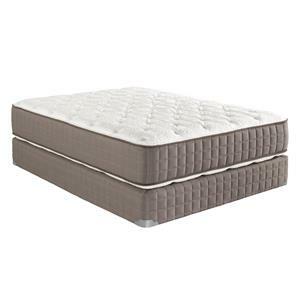 Wood9-F Full 9" Wood Foundation 1 9"
125F Full 14" Plush Euro Top Mattress 1 14"
This Maximum Support Technology collection, features a premium innerspring unit encased with foam to maximize the sleep surface for full use of the bed. 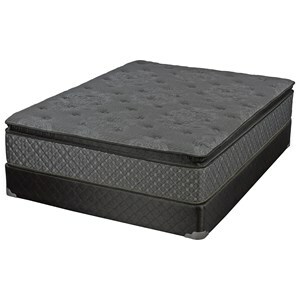 Using Convoluted foam and a Gel Lumbar Support, they create a sleep surface that will both support you and relieve pressure helping you relax and enjoy a restful nights sleep. A great value mattress. 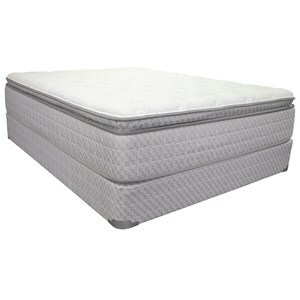 The 125 Series collection is a great option if you are looking for Mattresses in the Long Island, Hempstead, Queens, Brooklyn, Bronx, Manhattan NY area. Browse other items in the 125 Series collection from Nassau Furniture and Mattress in the Long Island, Hempstead, Queens, Brooklyn, Bronx, Manhattan NY area. Nassau Furniture and Mattress features a great selection of living room, bedroom, dining room, home office, entertainment, accent, furniture, and mattresses, and can help you with your home design and decorating. View recent additions to our online furniture gallery. 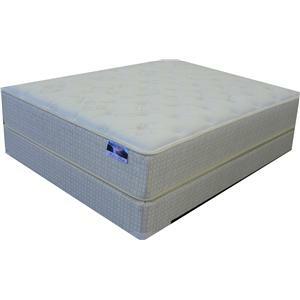 Nassau Furniture and Mattress offers great quality furniture, at a low price to the Long Island, Hempstead, Queens, Brooklyn, Garden City, Uniondale, East Meadow, Franklin Square, Manhattan, Bronx, NY area. Sign up with Nassau Furniture and get $50 Nassau Furniture Bucks!